Taking a break from the clay, I've gotten into the books again. I'm enjoying matching up translations with the hieroglyphs. (The authors of the 1979 Epigraphic survey added a few things usually found in such inscriptions but not actually supported here by the hieroglyphs. 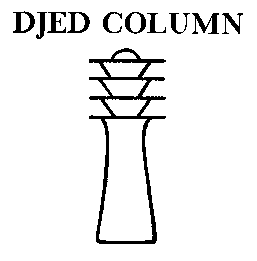 For instance there must be a Djed glyph to say "all stability". 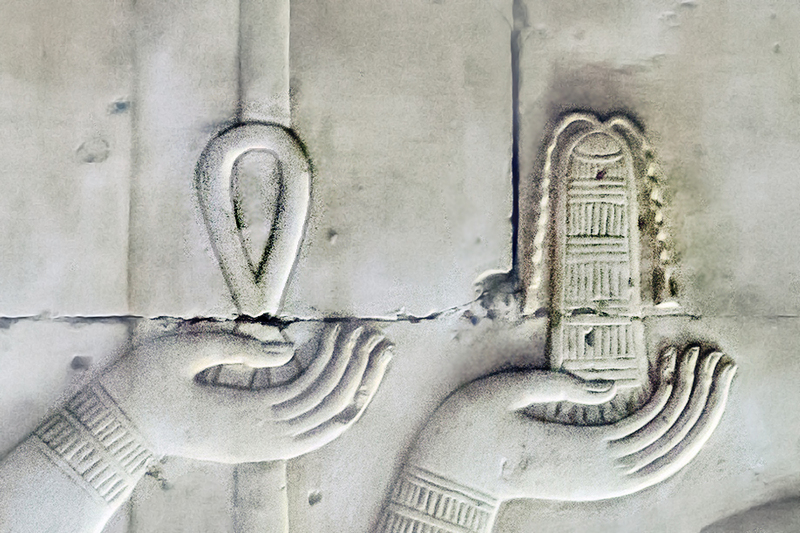 I may not be able to visit Seti I's Abydos temple in Egypt, but part of it came to me via Temple Ritual at Abydos, by Rosalie David. It has small line drawings of the scenes and some watercolor painting of a few scenes. 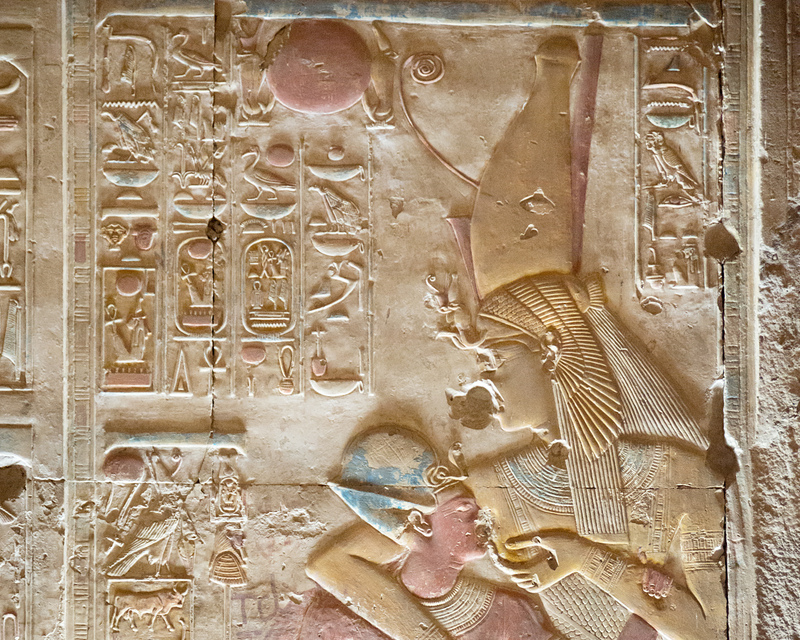 I sought out nice large photos of the reliefs, so I could match up the translations with the hieroglyphs better. This crop focuses more on the hieroglyphs. 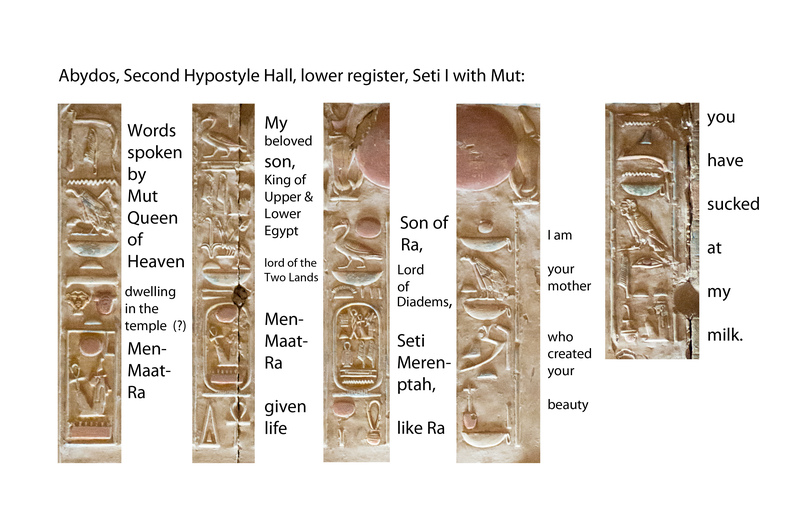 "My beloved son, King of Upper and Lower Egypt, lord of the Two Lands, MenMaatRa, given life, son of Ra, Lord of Diadems, Seti Merenptah, like Ra, I am your mother who created your beauty, you have sucked at my milk." The first line of hieroglyphs weren't translated, but except for a few, they are rather basic: "Words spoken by Mut, Queen of Heaven". Then came face glyph, heart (ib) glyph and "bread loaf" T glyph. With Julia's help, we ventured "dwelling in the temple", MenMaatRa. Again, Kairuinfo4u has the original photo, from which the above is a a crop. 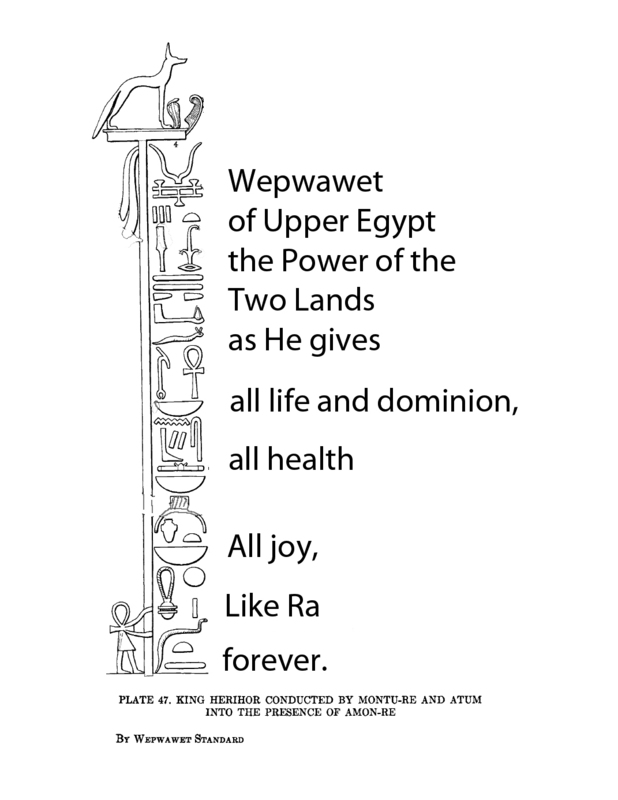 I recognise the "all health" and "all joy" from Wepwawet's hymn, so I can know Ptah is giving these to Seti. I was confused by what Seti is offering Ptah. 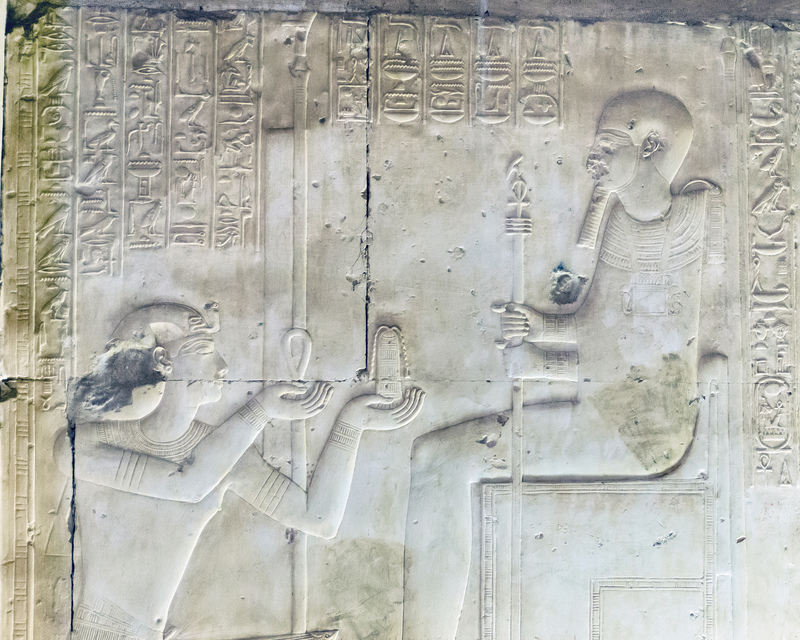 I thought perhaps the item in Seti's left hand is a Menat counterpoise, because Ptah is often shown (as he is in this scene) with a distant counterpoise showing. I recieved confirmation from an old book, The Temple of the Kings at Abydos: (Sety I. ), by Algernon Thomas St. George Caulfeild, H. Laurence Christie, Sir William Matthew Flinders Petrie. 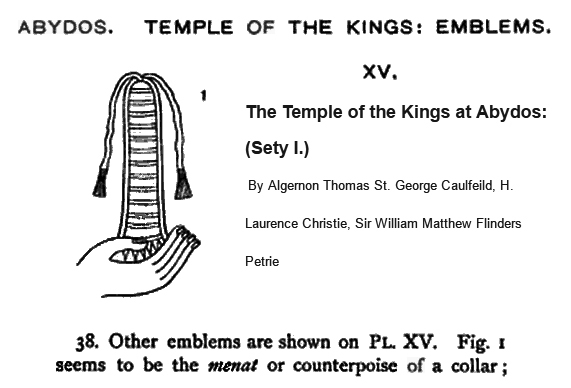 One of those authors is describing one of the emblems seen in the temple, "Fig. 1 seems to be the menat or counterpoise of a collar". I'm thinking as Ptah is "Lord of Ma'at", and an aspect of Ma'at being balance, the counterpoise adds to this. The purpose of the counterpoise is to provide balance. The happy dabbler has learned a little bit more! Someday I will tackle the rest of those glyphs.